This Saturday is the annual LA Cupcake Challenge! According to Drink Eat Play: "Cupcake Challenge roster is complete: 4 previous Cupcake Challenge winners, 3 Cupcake Wars winners, and some iconic LA bakeries. 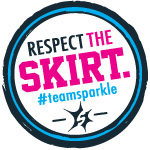 This is panning out to be the toughest cupcake challenge yet." Will you be there? I will! There are still tickets left. Don't be left out. See you Saturday! I'm not a big football fan, but I do love the Super Bowl. Sadly, not for the football, but for the food. The Super Bowl is less than two weeks away and I'm already starting to see lots of great food ideas for the big day. 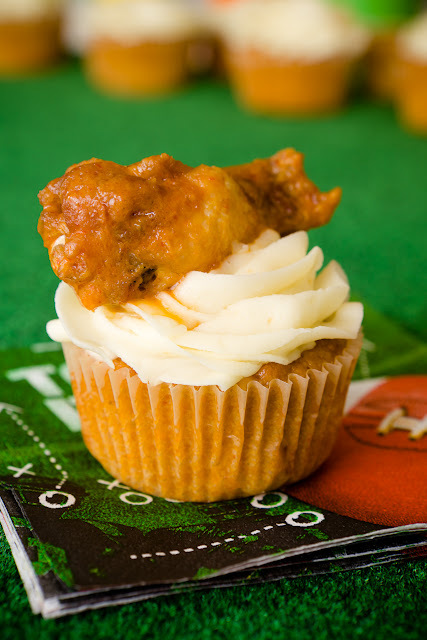 Cupcake Project posted these Buffalo Chicken Cupcakes, which would be perfect for any Super Bowl party. You may be wondering, like I was, if these cupcakes are sweet or savory. Cupcake Project answers this question, as well as others, in her post (answer: they are savory). Four returning Cupcake Wars champions fight to present their cupcake to music's biggest celebrities at the after party for the American Music Awards. I was really hoping that Bake You Happy would win again. I've tried their cupcakes on several occassions and LOVE them! Glad to see they made it to the final round. 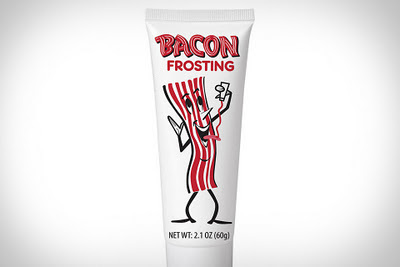 Bacon Frosting: Yum or Yuck? 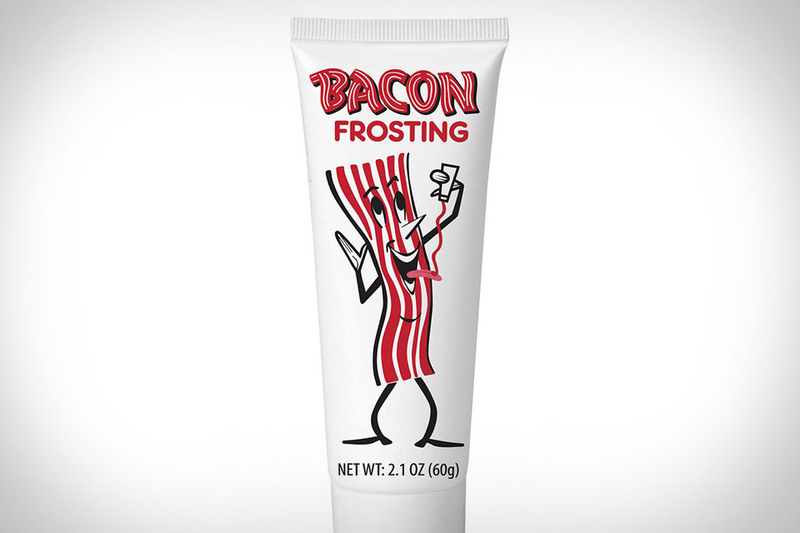 Uncrate recently posted about a product to add to your cupcakes: bacon frosting. Yes, I said bacon frosting. I love a good cupcake with bacon, but artificial-flavored bacon frosting? Count me out. Would you shell out $3.96 for this product and use it? It's almost time for my favorite cupcake contest of the whole year: the LA Cupcake Challenge! I've had the privilege of judging this event the past two years and I'm excited that they asked me to come back again! Maybe you're wondering: what IS the LA Cupcake Challenge? It's the best of the best cupcakes in Los Angeles and Orange County. Many of the competitors have been contestants on Food Network's Cupcake Wars. The winners are picked by the public and a panel of celebrity judges (oooohh, I like the sound of that). Tickets are $40 and can be purchased here. A ticket gets you a sample of each cupcake entered in the contest. The event takes place at the Hollywood Renaissance Hotel on Saturday, February 4, 2012 from 4pm-7pm. 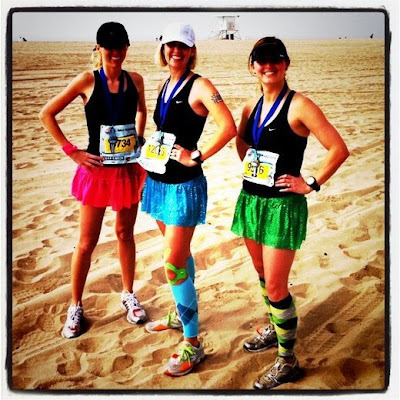 Last year the contest happened to fall on the day before I ran the Surf City Half-Marathon. 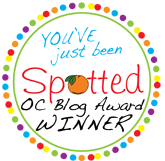 You can check out the article the Orange County Register published about attending the cupcake contest and running the next day. This year I won't be running the next day, but I will be bringing my new little munchkin with me to the event. Who's going to spend the afternoon eating lots of cupcakes with me? You can check out my coverage of past LA Cupcake Challenges, along with all of the cupcake contests I've judged here. Four cupcake bakers try to score their way into the celebration of the Major League Soccer Cup finals. I distinctly remember this episode of Cupcake Wars because I thought it was the best one. Decorating cupcakes for Comic Con sounds like a fun time! Wonderland Custom Cakes was the winner of the Comic Con episode in August, but at the time they were just an online company. This weekend Wonderland Custom Cakes will open their doors to their own bakery. Join them Saturday, January 14 from 10am-5pm for their grand opening celebration. The flavors of the day include: Royal Red Velvet, Evil Twin (jalapeno carrot cake), Orange, Chocolate Pretzel, Coconut, Vixxxen (red hot red velvet), Peanut Butter Cookie, CinnaSwirl, and Hunka Hunka. You can read more about Wonderland Custom Cakes in their interview with Cupcakes Take the Cake. You can also follow them on Twitter (@wonderlandcc) and like them on Facebook. Beginning January 21, Meringue Bake Shop will be coming to the Old Towne Orange Farmers and Artisan Market. I'm super excited about this because the farmers market is exactly two blocks from my house. Now I have easy access to cupcakes and Meringue Bake Shop's famous Push Cakes! The Orange farmers market is every Saturday from 9am-1pm, 304 N. Cypress St., Orange, CA. I fell in love with their Autumn Apple cupcake at Cupcake Camp IE in 2010. They were also at LA Cupcake Challenge last year. I can't wait to visit their shop this year! If you know me, you know that I think that running and cupcakes pair together quite nicely. Don't believe me? Well, I set a personal half-marathon record the day after I ate 32 cupcakes at the LA Cupcake Challenge last year. (Check out my post and newspaper article here.) 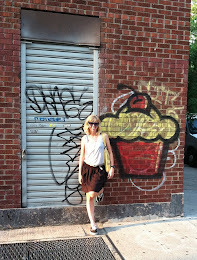 So it's no surprise that my New Year's Resolutions for 2012 are split between cupcakes and running. New Year's Resolution #2: Run a marathon, either in a full-distance Ironman or stand-alone. If by itself, run under 4 hours. New Year's Resolution #3: Visit and review one new cupcake shop every month. New Year's Resolution #4: Run a 6:15 mile (not in a race). What are your New Year's Resolutions for 2012? Do you usually keep them? 2011 was another great year of reviews! One of the highlights of the year was my first trip to New York City where I got to review not one, but six cupcake and dessert shops! I got to taste the famous Magnolia Bakery cupcakes (surprisingly not that great). 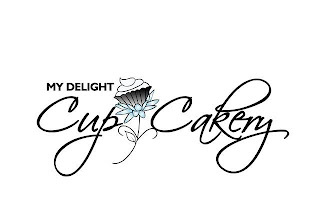 At the beginning of the year my cupcake adventures led me to My Delight Cupcakery in Ontario, CA. This wasn't my first encounter with them, as I had previously tasted their cupcakes at several cupcake contests in 2010. I was thrilled to discover that not only do they have one or two award-winning cupcakes, but ALL of their cupcakes taste AMAZING! They have easily become my FAVORITE REVIEW OF 2011, as well as one of my top cupcake shops of all time!! 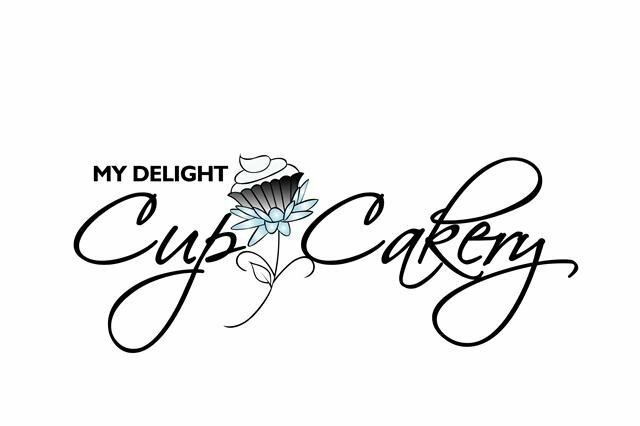 Want to learn more about My Delight Cupcakery? Check out some of the many posts I've written about them. You can check out all of my reviews here. There are still so many cupcake shops that I haven't tried yet. 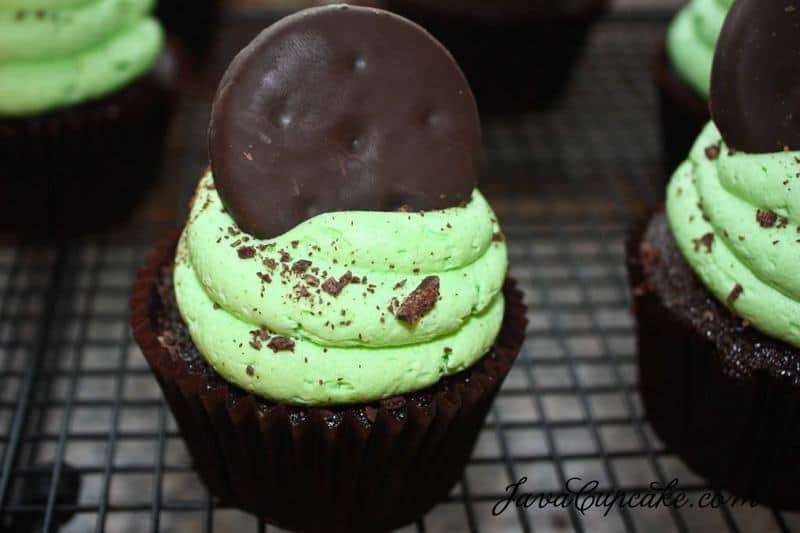 Do you know a cupcake shop I should visit and review? Let me know so I can add it to my list of shops to visit in the future. Looking forward to another year filled with lots of cupcakes! Happy New Year!